Brace Beemer was born in Mount Carmel, IL, in 1902. He enlisted in the Army during WWI at age 14. His first stint in radio was in Indianapolis (where he broadcast the Indy 500). He moved to Detroit to work at WXYZ. When that station first aired The Lone Ranger in 1933, Beemer worked as the announcer for the program; he also made public appearances as the Lone Ranger (his six-foot-three frame made him look the part). In 1941, the actor who voiced the Lone Ranger was killed in an automobile accident, and Beemer took over as the voice of The Lone Ranger, continuing until 1954. Beemer lived at 1725 Chicago Boulevard in the 1930s. Read more about Brace Beemer on his home page, or here. Clara Clemens was born in 1874, the middle daughter of Mark Twain. She traveled to Vienna as a young woman to study piano and voice, meeting future husband Ossip Gabrilowitsch, a concert pianist and conductor, in the city. When Clara returned to New York to continue her studies, the two began a long-distance relationship. Clara began performing, and eventually invited Ossip to America in 1909. The two were soon married and sailed for Europe, but returned within a few months as Clara's father fell ill and eventually died. In 1918, Ossip became the director of the Detroit Symphony Orchestra, and he and Clara moved to 611 W. Boston Boulevard. He held that position until his death in 1936; Clara would occasionally sing in local theater groups. Later in life, Clara wrote biographies of her father (My Father, Mark Twain) and husband (My Husband Gabrilowitsch). She died in 1962. Clara Clemens lived at 611 W. Boston Boulevard through the late 1930s. Read a short bio of Clara Clemens and her wedding notice in the New York Times. Celeste Cole was born in Dallas, Texas in 1907. She studied opera in Russia, becoming a much-sought-after concert soprano. She was the first Black Aida, and in 1931 starred in a two Hollywood films. After coming to Detroit, she was an instructor of applied music at Wayne State University, and founded the Celeste Cole Opera Workshop. She died in 1984. Celeste Cole lived at 693 Edison beginning in the early 1950s. 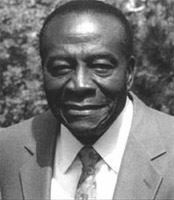 Ernest Durham was born in New York in 1919, and received a degree in journalism from New York University. He went to work for The Pittsburgh Courier, a leading Black newspaper. He later moved into radio newscasting, and was working in New York as a newscaster when a deejay fell ill and Durham filled in. Liking the experience, he looked for more opportunities. In the 1950s he moved to Detroit, hosting a jazz show on WDET. In 1955, he landed a gig on Flint's WBBC as a deejay. 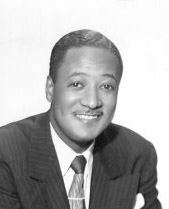 He was immensely popular, and in 1956, WBBC owner Booth Broadcasting hired Durham to deejay at their flagship Detroit station, WJLB. He worked at both stations, commuting every day, until 1958, when he joined WJLB exclusively. Durham earned his nickname "Frantic" by rapping and rhyming through the between-song breaks. He also had a hand in introducing young Michigan R&B acts to his audience. Durham continued working at WJLB for years, then transitioned to its AM successor, WQBH in 1982. He was briefly in WJR, and in 1991 returned to WDET. Ernie Durham died in 1992. Ernie Durham lived at 1929 W. Boston beginning in the 1950s. Listen to Ernie Duham sound check on the radio. Ossip Gabrilowitsch was born in St. Petersburg, Russia in 1878. As a young man, he studied piano in St. Petersburg and in Vienna, where he met Clara Clemens, also a student at the time. The two had a lengthy long-distance relationship, eventually marrying in 1909. Gabrilowitsch was the conductor of the Munich Orchestra from 1910-1914, and was appointed founding conductor of the Detroit Symphony Orchestra in 1918, where he hired concertmaster Ilya Schkolnik. Upon his appointment, he demanded a new facility be built, resulting in the construction of Orchestra Hall. Gabrilowitsch conducted the DSO until his death in 1936. Ossip Gabrilowitsch lived at 611 W. Boston Boulevard from 1918 until his death in 1936. Berry Gordy was born in Detroit in 1929. His father, Berry Gordy Sr., operated a successful painting and construction business as well as the Booker T. Washington grocery. Berry Junior boxed professionally in the 1940s, served a stint in Korea, and opened a store selling Jazz records. In 1957, Gordy began supporting himself by writing songs professionally, as well as doing some producing. Shortly thereafter, Gordy met Smokey Robinson and his group (then the Matadors; later the Miracles); Gordy and Robinson became fast friends and Gordy began managing the Miracles. Gordy's success with the Miracles, and the success of some of his songs, convinced him to begin his own record label. Tamla Records was born in 1959; Motown records later that year. Motown turned out a string of hits by a string of hit artists, starting with Smokey Robinson and the Miracles and including Mary Wells, The Supremes, Marvin Gaye, The Temptations, The Four Tops, Gladys Knight and The Pips, The Commodores, The Velvelettes, The Marvelettes, Martha and the Vandellas, Stevie Wonder and The Jackson 5. Berry Gordy, Jr. lived at 918 W. Boston Boulevard, where both Nels Michelson and Leonard A. Young once lived. Read more about Berry Gordy, or visit the Motown Museum, just a mile from Boston-Edison. 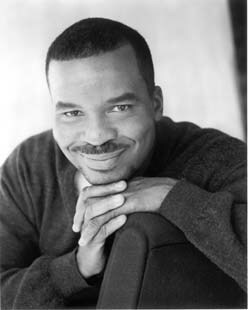 David Alan Grier was born in 1955 in Detroit; his father was psychiatrist and author William H. Grier. Grier grew up in the city and graduated from Cass Tech high school and then the University of Michigan before moving on to Yale. He was nominated for a Tony for his role in the musical "The First." He starred in a series of Broadway and off-Broadway plays before moving to film. He acted in a few movies, then landed a part in Keenan Ivory Wayans' movie, "I'm Gonna Git You Sucka." This led to Grier's role in Wayans' television show, "In Living Color." After this show, Grier continued to act in both television and film. David Alan Grier lived at 2200 W. Boston Boulevard during his childhood. Read David Alan Grier's Wikipedia entry. Ira Grinnell was born in New York in 1848. In 1866, he moved to Manchester, Michigan, and in 1867 began work in the sewing machine business in Ann Arbor. In 1880, Grinnell and his brother Clayton opened a music firm in Ann Arbor, with Ira as president. Two years later moved to Detroit. In 1901, the firm began manufacturing pianos, a move that met with immediate success. In 1908 the firm built a headquarters on Woodward Avenue and in 1913, they opened a manufacturing plant in Holly, touted as "the largest piano factory on the earth." He also founded the Grinnell Electric Auto Company, which built electric automobiles in Detroit from 1912 - 1915. Ira L. Grinnell lived at 650 W. Boston Boulevard, the home originally built for John W. Drake, for a short while until his death in the early 1920s. Read an article on Grinnell's pianos in the Detroit News. Mischa Kottler was a pianist, born in 1899. As a young man in New York, he played for Sergei Rachmaninoff, impressing Rachmaninoff with his own third piano concerto. Rachmaninoff recommended Kottler study in Europe; he went and became a student of Alfred Cortot in Paris and Emil von Sauer in Vienna, the latter being a pupil of the great Franz Liszt. Back in the United States, Kottler was lead pianist for the Detroit Symphony Orchestra. 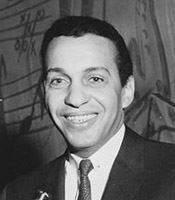 In 1933 he became musical director of WWJ radio in Detroit. He was chairman of the Piano Department at Wayne State University, and was a major influence on young pianists. Mischa Kottler lived at 853 Chicago Boulevard from the 1940s through the 1960s. 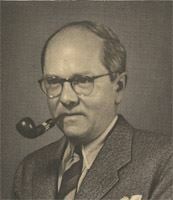 Ilya Schkolnik was born in Odessa, Russia, in 1890. His father, an accomplished violinist and clarinetist, taught Ilya at a young age, and the family toured Europe giving concerts. They eventually settled in Berlin, and Ilya studied at the Royal Conservatories in Leipzig and Brussels. After graduation, he toured extensively through Europe, and, when World War I broke out, the US. He was appointed Concertmaster for the Russian Symphony Orchestra before emigrating to New York and eventually becoming Concertmaster of the Detroit Symphony Orchestra under Ossip Gabrilowitsch in 1919, a position he held until 1944. Ilya Schkolnik lived at 1225 W. Boston Boulevard (now demolished) in the 1930s. Lloyd Storey was born in 1923 in Detroit. His family moved to New York, where he grew up. When he was 14 years old, he began dancing at New York's famed Apollo Theatre, eventually touring with Bill "Bojangles" Robinson. He served in the Navy in WWII, but returned to the stage after the war, performing with the likes of Louis Armstrong, Cab Calloway, Duke Ellington, Redd Foxx, Peg Leg Bates, Tony Bennett, Fletcher Henderson, Count Basie, and Gregory Hines. When Storey moved to Detroit, he formed the Detroit Sultans tap ensemble with Fletcher "T Bone" Hollingsworth, and directed the city's Tap Repertory Ensemble, as well as teaching at the Center for Creative Studies. Lloyd Storey lived at 908 Edison in the 1950s. Read remarks in the Congressional Record about Lloyd Storey by Rep. John Conyers. 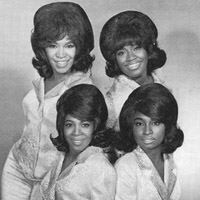 In 1960, Shirley Walker formed a group known as the Sabre-ettes, which also features Martha Reeves (later of the Vandellas). By 1962, the group had changed its name to the Fascinations, gone through some personnel changed, and moved to Chicago. There, they attracted the attention of Curtis Mayfield, who produced a number of their first singles, including hit "Girls are Out to Get You." 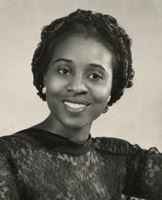 Walker also recorded two solo singles under the name "Shirley Lawton." The group disbanded in 1969. Shirley Walker lived at 1924 Edison beginning in the 1960s. Read about The Fascinations on Wikipedia. Richard A. Whiting was born in 1891 in Peoria Illinois, into a musical family. In 1913, he began his career as a staff writer at a music publisher in Detroit, supplementing his income by playing piano at a nearby hotel. He rapidly climbed the ladder, and eventually moved on to write scores for numerous Broadway plays and Hollywood films. Some of his songs are still familiar today, including "Till We Meet Again," "On the Good Ship Lollypop," and "Ain't We Got Fun?" Richard Whiting lived at 2418 Edison. Paul Williams was born in 1915 in Tennessee and moved to Detroit at the age of 13. Williams married Evelyn Webb in 1935. Having performed on saxophone through his teenage years, Williams began performing in Detroit clubs, playing with high school friend Lloyd "Chainey" Henderson. He soon formed his own band, Paul Williams and the Kings of Rythym. After World War II, Williams joined the Porter Band, a national act, and earned a reputation as a showman. In 1947, Williams formed his own nationally touring band. In 1948, they recorded "The Hucklebuck," an instrumental considered by many music historians to be an important precursor to rock 'n' roll. The song became a major crossover hit among both black and white audiences, and stayed at the top of the charts for 32 weeks. From that point on, Williams billed himself as Paul “Hucklebuck” Williams. In 1952, Williams and his Orchestra performed at The Moondog Coronation Ball at the Cleveland Arena, promoted by disc jockey Alan Freed, considered to be the music industry’s first rock concert. He continued to record R&B hits through 1962, and then turned to studio work. In 1992, he was honored by the Rhythm and Blues Foundation with their Pioneer Award, in recognition of his artistry and lifelong contributions to rhythm and blues music. Paul Williams died in 2002. Paul Williams lived at 2317 Edison from the 1950s onward. Read a short biography of Paul Williams, his Wikipedia entry, or visit his website. Ed Wingate was born in Detroit in 1925, and became one of the city's most successful African-American businessmen, owning a hotel, taxi service, and several cafes. In 1961, Wingate became intrigued by the music business, and paid a visit to Berry Gordy. Gordy's Motown label was having cash flow problems, and invited Wingate to sign on as a partner. Wingate declined, opting instead to start his own label, Golden World, with his future wife JoAnne Jackson. Golden World issued its first single in 1962. A subsidiary label, Ric-Tic, followed. In 1965, Golden World had its first top-ten hit, the Reflections' "Just Like Romeo and Juliet." Golden World opened a recording studio in 1965, and more hits followed. 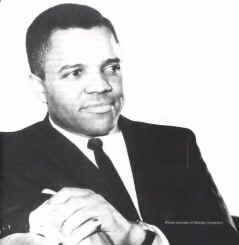 In 1966, Berry Gordy, his cash flow problems well behind him, bought out Golden World for a reported one million dollars. Wingate continued to release records on Ric-Tic until 1968, when Gordy bought that label and Wingate exited the music business. Wingate lived at 2307 Edison beginning in the early 1950s. He moved to Las Vegas, and died there in 2006.